Our furry or feathered friends are lovable and very much a part of our families. When it comes to selling your home, pets can sometimes inconvenience or even hinder the selling process. There are a few extra steps you can take to ensure the process is a little easier on you, your pet and a potential buyer. - Freshen the Air ñ You may not know or have become used to it, but pet homes tend to smell. Pet smell is a major turn-off. Freshen up the air with a thorough clean up. Replace or have the carpets professionally cleaned. Remove stained pet beds and litter boxes. Neutralise the air with natural air fresheners such as flowers, bowls of fruits, aromatic spices like nutmeg and cinnamon, or freshly baked goodies. Using neutralizing essential oils and diffuser is also a great way to eliminate odours. - Repair pet destruction ñ Scratched doors or posts, scuffed floors, damaged furniture, and chewed off carpets should be repaired or replaced. - Clean up the fur ñ Many people are allergic to pet fur and dander. Be sure to vacuum, sweep and launder anything with traces of fur. - Tidy pet clutter ñ Remove all pet evidence from the house. Pet bowls, water fountains, beds, litter boxes, carriers, and toys can add to the clutter. Clean the yard ñPatches of yellowed grass, droppings, dug holes, damaged plants, and abandoned toys can be taken as signs of neglect. 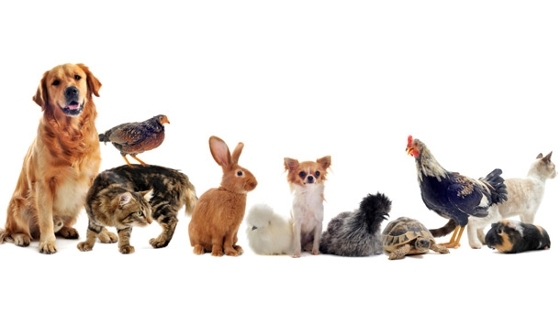 - Relocate pets ñ Arrange for a friend or family to look after your pet during a showing. Relocating your pet for few days or weeks will help keep the house clean and minimize maintenance. - Remove pets from the house ñ If relocation is not an option, make sure to remove your pet during showings. Hide all pet paraphernalia like pet bowls and beds away from plain sight. - Quickly run the vacuum or sweep before showings. Located in the heart of Prestigious Wedgewood Heights in a quiet cul-de-sac is this incredible 2 storey home. You are greeted with a spacious front foyer with glass side lighting and plenty of natural lighting. An elegant staircase that will take you to the four bedrooms on the upper level. The gourmet size kitchen has plenty of cabinets, a walk in pantry, granite counter tops, an island with sitting area and stainless steel appliances. Curl up in the family room and enjoy the gas fireplace. The master bedroom has a huge walk in closet and the ensuite has a spa like feel with its Jacuzzi tub. On the lower level there is a second family room, bedroom, games room ,storage room and a 4pc bathroom. The triple garage has 12 ft ceilings giving you plenty of room for storage and all of your toys. Close to river valley trails, ravine, tennis courts, shopping, transportation and schools. You should have received your Annual Assessment Notices from the City of Edmonton by now. This is the assessed value of your property, which substantiates how much tax you have to pay on it. Simply speaking, the assessment places a dollar value on your home for tax reasons. It is not possible for the City of Edmonton to physically appraise each house, so assessments are based on the fair market value of the property. A number of key factors such as age, size, layout, traffic noise, proximity to establishments like schools, parks, restaurants, etc. help determine the assessment amount. Your property assessment should manifest the overall market of the previous year; for example, the assessed value of your property will most likely decrease if houses in your neighbourhood didn't sell as well as they did the year before. Alternatively, the assessed value of your property may increase if either renovations or upgrades have been done and you registered these improvements with the City via permits and/or a revised Real Property Report. There is a secure website that enables you as a property owner in Edmonton to obtain assessment information specific to your property. Sign in information is located on your most recent City of Edmonton property assessment notice. Review a full report of your assessment here. Following the mailing date of the Assessment Notices on January 04, 2016, a property assessment review period is held until March 11, 2016 wherein you can arrange to speak with an assessor concerning any disagreement you may have with the assessed value of your property. However, if you still disagree with the assessed value, you may file a complaint with theAssessment Review Board. The formal complaint must be filed prior to the deadline on March 11, 2016 in order for the Board to review your case. Regardless if a formal complaint has been filed, you still need to pay your taxes on time or you'll be penalized. Property tax bills are mailed out May 24th and are due June 30th. The City allows you to pay in multiple ways; in person, online banking, credit card or cheque. If you don't want to have the financial burden of paying all at once, you can set up a Property Tax Monthly Payment Plan. You can request enrolment in the plan here.